If Stephen Amell has his way, a feature-length version of Arrow will make a beeline for the big screen in the not-so-distant future with Oliver Queen and all of the show’s primary characters in tow. The proposition of a full-length movie was presented to Amell during London’s Heroes & Villains Fan Fest this past weekend (via ComicBook), and while it’s fairly unlikely that Queen and the gang will ever make the jump over to cinema, there’s another DC icon that has caught Amell’s eye: Batman. Gotham’s watchful protector is due to appear in Zack Snyder’s Justice League later this year, before headlining a solo movie from writer-director Matt Reeves. Production woes threatened to derail the spinoff early on in pre-production, but thanks to the appointment of Reeves, The Batman looks to have sailed out of those choppy waters. When asked about DC’s Caped Crusader, Amell admitted that he’d love to take a crack at Batman in some shape or form, and he’s already got an actor in mind to don the cape and cowl: Robbie Amell, the younger cousin to Stephen who has already dabbled with the DC universe thanks to his minor role on The Flash. 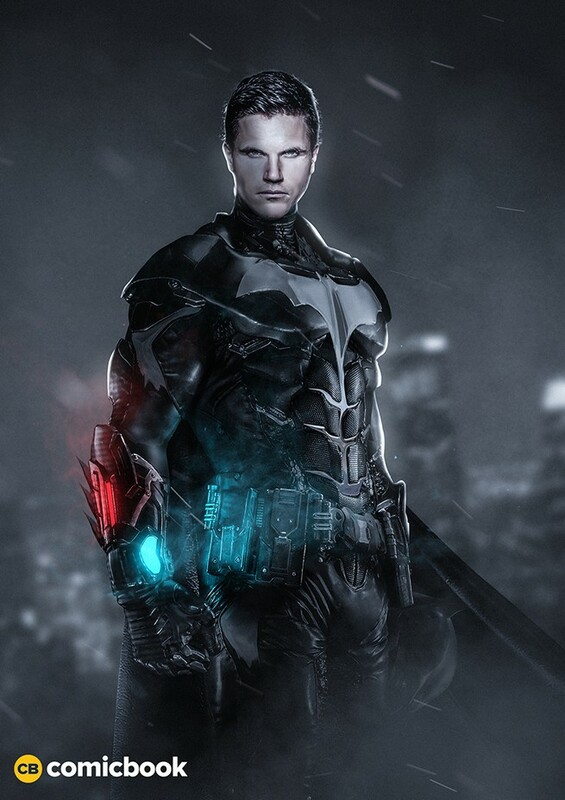 He’s by no means the first, nor will he be the last, actor to be linked with the iconic role, and sure enough, the prolific concept artist known as BossLogic has produced a new piece that imagines Robbie Amell as Bats. Pretty neat, right? Either way, in closing, Stephen Amell had this to say about the possibility of a feature-length Arrow movie. If we were going to do a feature-length film, what I would like to do is I would actually use every single important character from the history of the show that people thought were really important, I’d like to put them all in a situation where they’d all have to work together. And I would like to put the entirety of the amount of money that we put into an entire season into, like, 98-minutes of screen time and see what happens. With Matt Reeves about to instigate War For the Planet of the Apes – July 14th is the date for your diaries – The Batman has been placed on the shelf over at Warner Bros. for the time being. A lack of tangible progress has spawned countless pieces of speculation, including one that claimed Scarecrow and the Clown Prince of Crime will appear in the Caped Crusader’s next solo outing. Will that prove to be true? It’s impossible to know at this early stage, but we’ll be bringing you all the latest as more information comes to light.